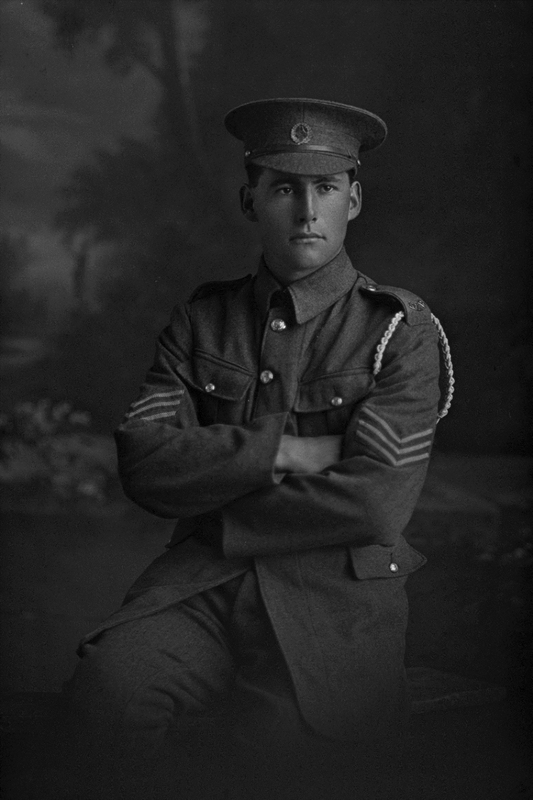 Greg Mitchell as a sergeant in the 5th Reinforcements in 1915. Credit: Sir George Grey Special Collections, Auckland Libraries, 31-M819. Lieutenant John Devenish m.i.d., Royal Inniskilling Fusiliers, in Egypt 1904-05. Credit: Devenish, John Graham-WW1 12/2271-Army [AABK 188805 W5537 31/0333510] Archives New Zealand. 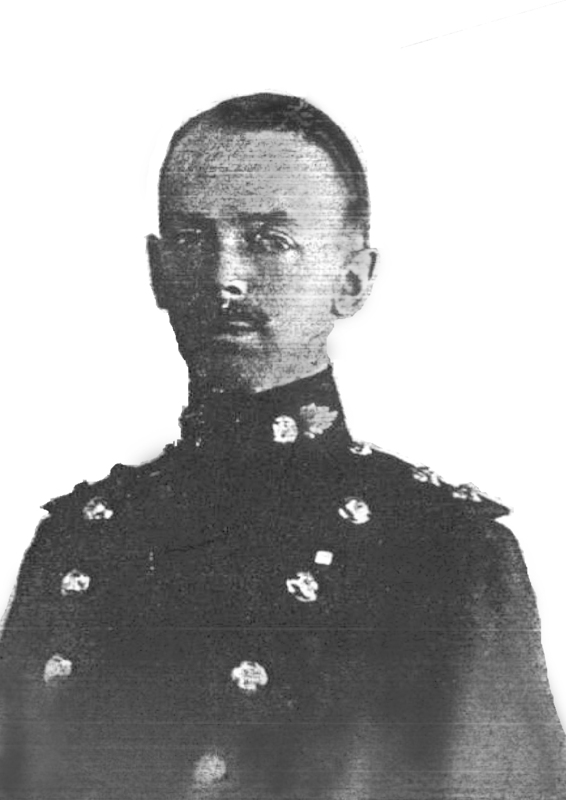 Standing near Mitchell at this time was a friend, “an old campaigner”, 36-year-old Private John Graham Devenish, No.12/2271. His actions on 8 August clearly show how courage can also came through inspiration from natural leaders and that leaders often have to put on a brave face to mask internal doubts. was on his mettle. Many old brother officers in the Irish regiments were watching him & his N Z’ers. Before we moved he went quietly amongst the men of his platoon (the leading one) & told them to set an example to all the onlookers. ‘I am an Irishman of Tipperary’ he said, ‘& as many of you are of Irish descent, I want you to vindicate Ireland’s reputation which has fallen in the mire today... When I break & run you can run too, but if you wait for me to run, you will wait till Doomsday….’ Many of us listened to his brave words & only one or two knew how faint was the heart of the speaker. Field-Marshal Sir William Slim, Courage and Other Broadcasts, London, 1957, pp.5-9. Attestation Form and History-Sheet, Gilbert Gregory McCarthy Mitchell NZEF PF, R21376108, Archives New Zealand, Wellington [ANZ]. GGM Mitchell Letter from Malta to ‘My Dear Homefolk’, 21 September 1915, Mitchell Family Collection. Attestation form, John Graham Devenish NZEF PF, R20996891, ANZ. GGM Mitchell Letter from Malta to ‘My Dear Homefolk’, 21 September 1915, Mitchell Family Collection; unknown author, ‘John Graham Devenish’, Devenish PF, ANZ. Free Lance, 10 September 1915, p.4; New Zealand Herald, 31 August 1915, p.9. History-Sheet, Devenish PF, ANZ; John Graham Devenish probate file, AAOM W3265 1995/27, ANZ. For later service see Gilbert Gregory McCarthy Mitchell Territorial Force PF, R24170584, ANZ;, Keith Sloane, Living With High Explosives, Auckland, 2014; New Zealand Herald, 5 November 1943, p.2; New Zealand Herald, 6 December 1945, p.6. Attestation form and History-Sheet, Kenneth Matheson Sutherland NZEF personal file [PF], R7822995, ANZ. Eye-witness account by 12/2392 Cpl G Greg Mc Mitchell, in a letter of 26 March 1916, Mitchell Family Collection. Auckland Star, 16 April 1917, p. 6; See also New Zealand Herald, 13 April 1917 p.3; New Zealand Truth 28 April 1917, p.2; History-Sheet, Sutherland PF, ANZ.